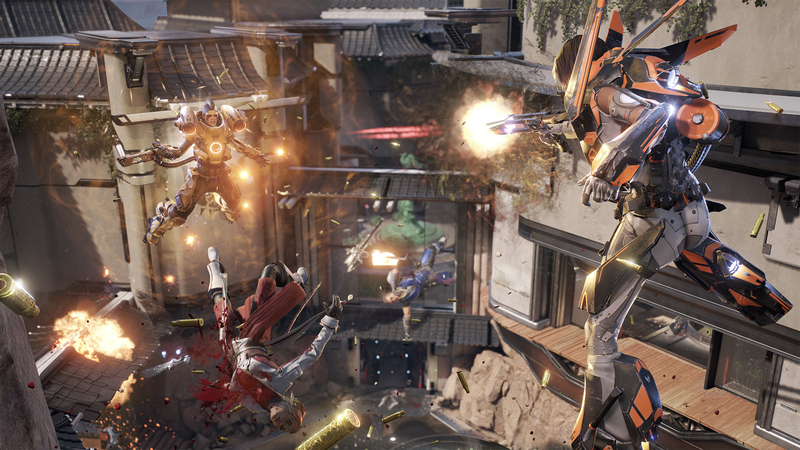 The launch numbers for LawBreakers on PC are worrying. Having officially launched just two days ago, the game has seen an initial burst of players that’s lower than both of its betas. Dropping players between a free beta and a paid launch may be common, but not when they’re as low as this. According to Githyp, the game’s first beta in June peaked at around 7,500 players. The next beta, which took place a month later, dropped further to 4,500 players. Considering the second one was open to all, at least for a chunk of time, this already was a sign of trouble. Now, at launch, LawBreakers only managed to get 3,000 players at its peak, with the numbers dropping steadily. You’re effectively looking at 2,000 to 2,500 concurrent players a day, which is not enough to break into Steam’s top 100. Knowing that launch is almost always the most active time for a game, this doesn’t bode well for LawBreakers future. Even Battleborn, the game often referenced in poor launch comparisons, managed a peak of 12,000 players at launch. Battleborn had a much bigger marketing push behind it, obviously, and it came from an established studio, but it was also more expensive at launch. These numbers could be better, seeing as the game is quite good, but they’re not too low so a to cause an issue for regular players. LawBreakers matches are 5v5, so there will always be plenty of matches going at any given time. There’s also the PS4 version, which may very well have a much bigger community, but we can’t be sure since consoles don’t expose data like this unless a developer does it themselves.